Australian crafter and blogger, Pip Lincolne, is someone I have admired since I came across her blog, Meet Me At Mikes a few years ago. I love the way she writes with familiarity, like you are reading a letter from your bestie. 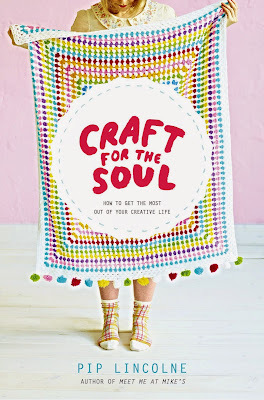 Her latest book, Craft for the Soul: How to get the most out of your creative life, is for everyone. It's about awakening your creativity and craftiness. Plus, there are 10 projects that you can do - bonus! I asked Pip a few questions about craft in her life. Me: Did you have a crafty role model as a child? 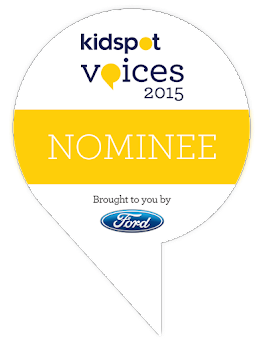 Pip: My Mum and my Nanna were my crafty role models. I especially loved the way my Nan could crochet, chat AND watch the afternoon soaps on TV all at the same time! Such mad skills! Me: How do you like to relax? Pip: I like to crochet, chat and watch telly all at the same time! I add a cup of tea to complete the equation. I also really love camping. My family and I have had some super relaxing times at Wilson's Promontory in Victoria. It's pretty beautiful eating jaffles, sipping tea from enamel mugs and watching the wombats go by. Super relaxing, you might say. Me: Is there a craft you have yet to master? Pip: I'm not very good at knitting. Crochet is my preferred woolly craft and I spend most of my time on that. When I am an older lady I am going to work a bit harder on my knitting skills. I wonder if most people prefer one or the other (knitting or crochet) rather than both? 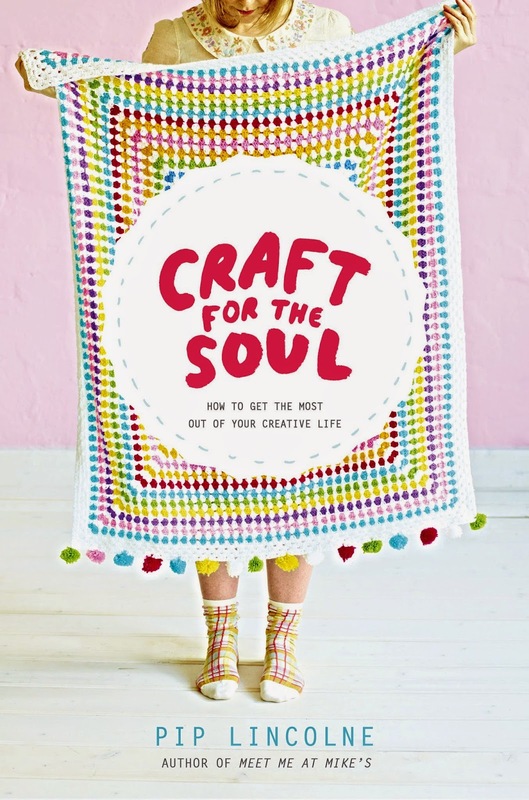 Craft for the Soul: How to get the most out of your creative life is available now. What a lovely Mother's Day pressie!